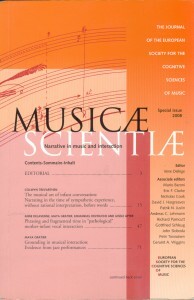 Les textes d’Alessia Vitale sont publiés par des revues scientifiques internationales réputées à comité de lecture dans les domaines des sciences musicales (Musicae Scientiae), de la philosophie (Analecta Husserliana), de la psychopédagogie (Journal of Cognition & Musical Arts), de la sémiologie (Acta semiotica fennica). Dans chaque écrit Alessia Vitale traite selon une méthodologie systématique d’un aspect spécifique de la voix humaine. 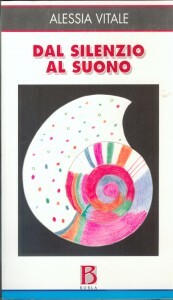 — (1996) Stefani Gino, Alessia Vitale, PierPaolo Pighini, “Schede” in Intense emozioni in musica, G. Stefani (ed). Bologna, CLUEB, (p. 131 -220 ). — Vitale, Alessia (1997). En corps chanté. Prospettive sulla voce. Tesi di Laurea in Musicologia, Relatore : Professore Gino Stefani, Università di Bologna. — (2003 a). Dal silenzio al suono. Voce Corpo Sensi Memorie, Roma, Borla. — (2003 b). La leçon de chant. Mémoire de DEA en Psychologie et Pédagogie de la musique, Université de la Sorbonne-Paris IV, sous la direction du Professeur Michel Imberty et du Professeur Jean-Pierre Mialaret, 2003. — (2004). « La voix et ses gestes », in Abstracts du Huitième ICMS (congrès international sur la signification musicale), sous la direction de Costin Miereanu, Paris I-Sorbonne, Paris 3-8 octobre 2004. — (2006). « The singing lesson. Learning and non verbal languages », in Proceedings of the 6th Triennal ESCOM (European Society for the Cognitive Sciences of Music), and 9th ICMPC (International conference on Music Perception and Cognition). M. Baroni, A. Addessi, R. Caterina, M. Costa (eds), University of Bologna, Italy, 22-26 August 2006. — (2007 a). « The language of gestures in the singing lesson », in Proceedings of the 3rd SIMCAM (Symposium on Cognition and Musical Arts). D. Santiago (éd. ), Federal University of Salvador (Bahia), Brazil, 21-25 May 2007. — (2007 b). « Gestes et mémoires dans l’apprentissage du chant » in Temps, Geste et Musicalité, M. Imberty (éd. ), Paris, L’Harmattan (p. 101-125). — (2007 c). La leçon de chant. Temps, espace, transitionnalité. Thèse de doctorat en Psychologie et Pédagogie de la musique. Université de la Sorbonne-Paris IV. Directeur : Michel Imberty. — (2008 a) « The singing lesson. Phenomenology of the non-verbal dynamics appearing in studying l’instrument-voix », in Musicae Scientiae, Special issue 2008 (p. 111-128). — (2009 a) « Learning processes in the study of the singing voice », in Proceedings of the 4th MERYC (European Network of Music Educators and Researchers of Young Children), University of Bologna, Italy, 22-25 July 2009 (p. 443-452). — (2009 b). « From the vocal gesture to the writing of music », in Proceedings of the 7th Triennal ESCOM (European Society for the Cognitive Sciences of Music), University of Jyväskylä, Finland, 12-16 August 2009 (p. 567-572). — Vitale, Alessia (2009 c). « Corps de la transmission-Transmission du corps. 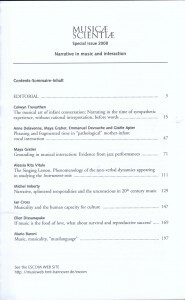 Parallèles entre l’étude du chant et l’étude de la danse » in Journal of Cognition & Musical Arts, Federal University of Paranà, Curitiba, Brazil. — Vitale, Alessia (2009 d). « The impact of vocal gestures within the dynamics of the learning process in singing and in the transitional process from oral musical culture to the writing of music » in Philosophies of performance, E. Tarasti (éd. ), Acta Semiotica Fennica n° XXXIV, International Semiotics Institute, Imatra, Finland. — Vitale, Alessia (Sous presse). 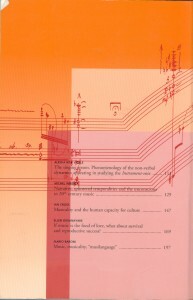 « Towards a phenomenology of the instrument-voix ». 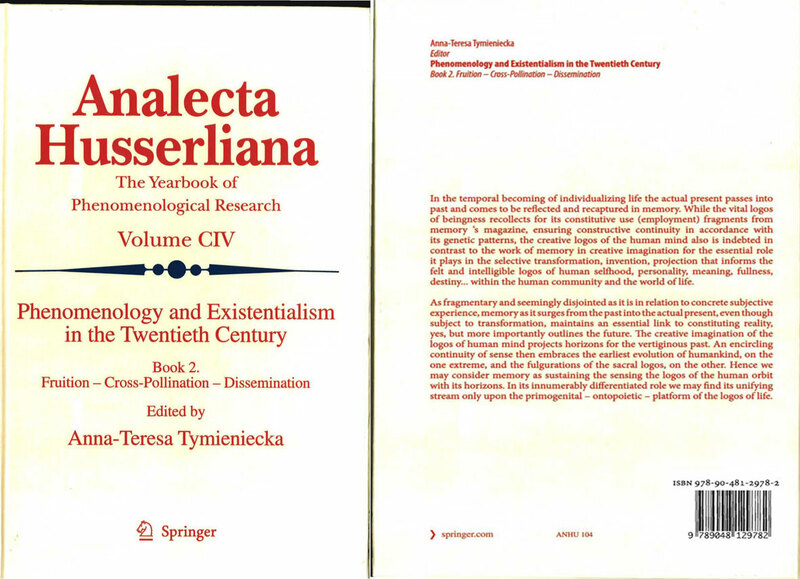 In Analecta Husserliana, vol. 104, A.-T. Tyminievska (éd. ), Springer Publishing, 2009 (p. 101-119). — Vitale, Alessia (Sous presse) « Temps et espace dans les processus d’apprentissage du chant » in Essais, (titre provisoire), F. Spampinato, D. Martinelli (eds). Acta Semiotica Fennica, Helsinki.